I have been a Principal Lecturer at the University of Portsmouth since 2002. I obtained a PhD in distributed systems and parallel processing from the University of Surrey. As a Senior Lecturer, I taught programming, computer architecture and networking for 10 years at the University of Richmond. From 1999-2002, I worked as a senior software engineer developing software and managing projects on simulation and modelling. 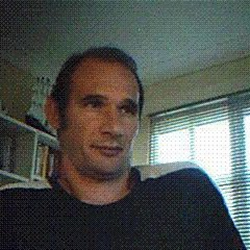 I have been researching parallel and distributed systems since 1987. My research interests include multithreaded architectures, mobile networks and business process modelling, parallel and distributed processing, wireless networks and sensor networks, network security, embedded systems, simulation and modeling, mobile intelligent agent technology. In 2005, I developed a multithreaded simulation called MPA to analyse and examine visually internal execution of threads inside a CPU (EuroPar 2001, ISDAT 2004, iCEER 2005). I conceived a simulator based on a novel approach for discrete simulation event environment. This approach is used by his PhD students, to model and simulate networks’ performance. Since joining the University of Portsmouth, his work has been focused on mobile agent architecture for fault management and detection in conventional and wireless networks (IADAT 2005, JNCA2009). We have shown in this project that statistical filtering approaches are more interesting than artificial intelligent methods for fault detection based on mobile agents. Numerous projects have been identified in the wireless technology arena. A second project, part of the requirements of PowerJet (Oxford), is the deployment of segregated networks using multi-channel protocols, to extend wireless networks’ survivability in harsh environments (IDAT 2006, PGNET 2007, ICWN07). Another project is concerned with routing in large-scale ad hoc networks. This work has contributed to our knowledge on how to engineer robust routing systems using self-organising location servers (IJCNC 2009). Alongside these projects, an interest in the Quality of Service in the WiFi systems becomes necessary. In this work we have contributed by suggesting several protocols that proved to be quite efficient for high quality of service in wireless networks (IEEE SIC 2013, ITCS 2013). The work has progressed to the classification of faults in the network. Currently, we are applying artificial intelligence techniques such as clustering to classify faults (DCCN2013). In another project, with multicore processor interconnections (DCCN2013), I developed and simulated a generalised version of fat-trees structures that is power consumption and performance aware. In cloud computing security, with my PhD students, I am looking at applying time series to detect data leakage.